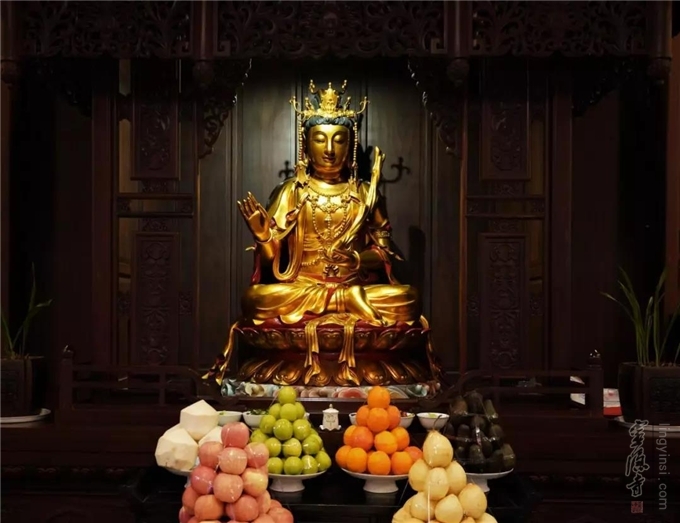 On the afternoon of January 28, 2019 (the 23rd day of the 12th month in Chinese lunar calendar, the birthday of the Bodhisattva King of the Kinnaras, also called Jianzai Pusa in Chinese, who supervises the vegetarian diet), the Bodhisattva King of the Kinnaras Offering Ceremony was held at Shifang Noodle Restaurant of Lingyin Temple in Hangzhou according to the tradition of Chinese Buddhism. 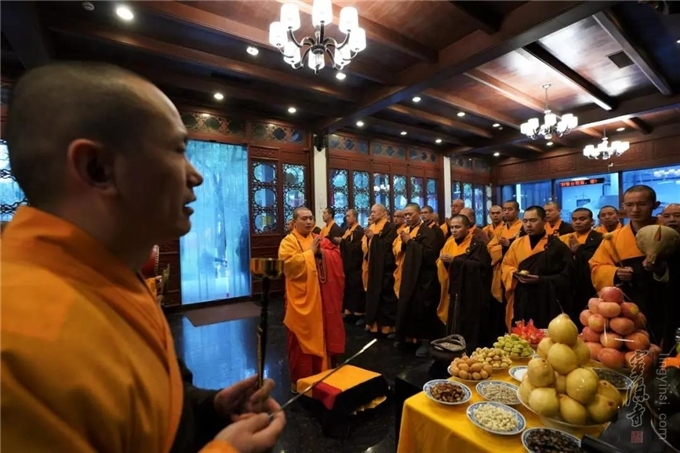 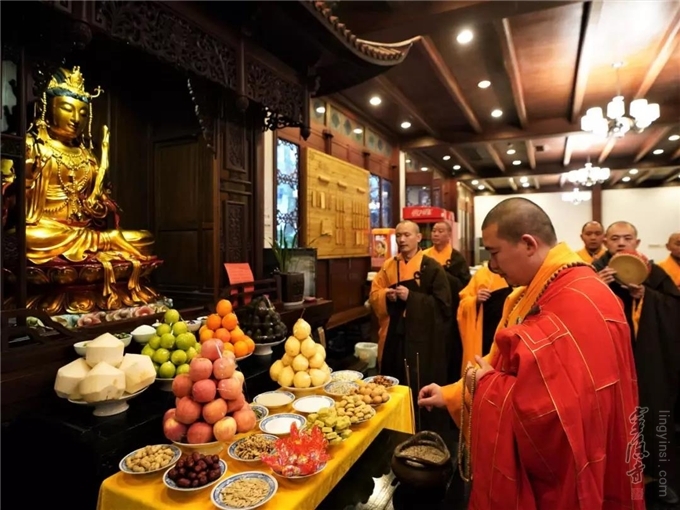 The ceremony was presided over by the temple supervisor Master Zhiguang in a solemn and awe-inspiring atmosphere with Buddhist chants going around. 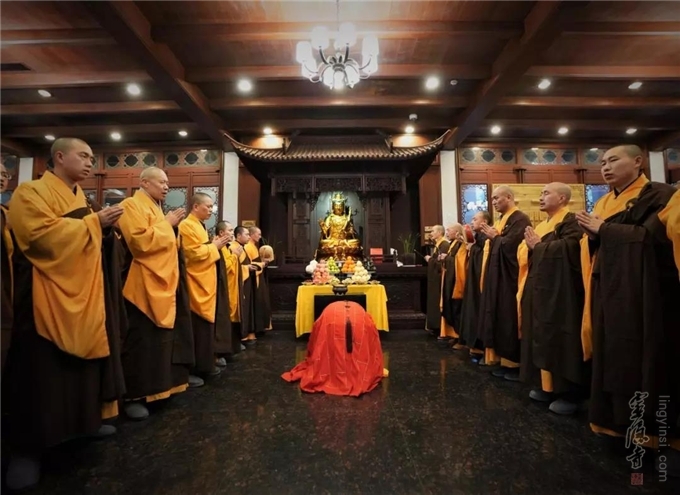 The Buddhist masters at the ceremony all prayed for national prosperity, wellbeing for the general public both at home and abroad, favorable weather, and good development of Buddhism.